The Big Anxiety Festival – what’s on this week? Professor Jill Bennett with the ParraGirls exhibit. PHOTO: Nick Cubbin. The world’s biggest mental health and arts festival – The Big Anxiety Festival – is marking Mental Health Week with a major hub in Parramatta. Spanning across venues including Riverside Theatres and Parramatta Park, The Big Anxiety Festival’s Parramatta events will run from 12 – 21 October. DREAM3D: a virtual reality platform and experience that utilises sound and 360 film as a tool to alleviate anxiety, improve the recovery process and reduce the need for additional medication and pharmaceutical treatments. Liminal: draws on neuroscientific research to create a variety of calm and energy experiences, not only generating instant emotional change, but also positively influencing moods for at least 30 minutes after use in the majority of users. Hue: an immersive interactive film about a man who has lost the ability to see colour. This allows viewers to explore an emotional and character-driven narrative, using empathetic touch to help reawaken his senses. On October 21, join a panel discussion exploring the existing landscape and future possibilities of immersive technologies as a therapeutic and educational tool. 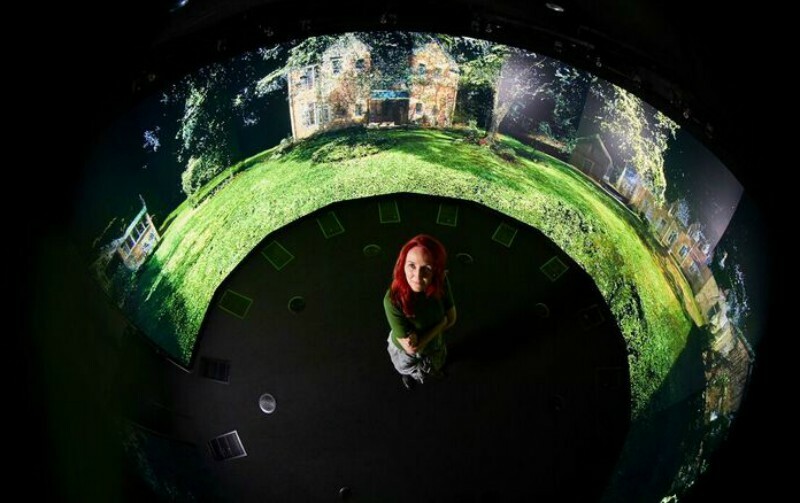 Led by virtual reality experts across neuroscience, film, contemporary art and user experience, you will hear about a number of works designed to challenge cognitive bias, decrease pain and anxiety, influence mood and energy and develop empathy through experience visualisation. Speakers include Nick Busietta Managing Director- Liminal VR, Joseph Purdam – Co-Founder and Director, DREAM3D, Phoria, Rick Martin – COO Equal Reality, Volker Kuchelmeister – Art Director and Production Design – Parragirls, Past, Present, Marilyn Le Tran – Founding Partner and Industrial Designer – Company of Unicorns. The Mobile Mood Lab by George Khut is a converted ambulance that uses new technology to explore the influence of stress and relaxation on our bodies. Neural Knitworks is based on the principle that yarn craft, with its mental challenges, social connection and mindfulness, helps keep our brains and minds sharp, engaged and healthy. Join founding artists Pat Pillai and Rita Pearce to make textile neurons in your hands following scientifically informed patterns as you forge new neural pathways in your brains. The installation also includes a knit-in workshop with the artist on Saturday 14 October. Parragirls Past, Present unlocks memories of institutional ‘care’ in a deeply moving immersive 3D virtual reality experience, presenting former residents’ visions of the Parramatta Girls Home today. Up until the early 1980s, ‘children at risk’ were held at Parramatta Girls Home and subjected to unwarranted punishment and abuse. Returning after 40 years, the Parragirls seek out traces to substantiate what really happened here. This groundbreaking immersive experience is accompanied by a self-guided audio walk at Parramatta Girls Home on 14 & 21 October. Apocalypse Anonymous takes us into the strange, yet unnervingly familiar world of Doomsday Preppers, whose activities focus on surviving a range of apocalypse scenarios. Installed next to the water in Parramatta Park, the work features first-person accounts and interviews. The Petition Never to Die by Vicki Van Hout and Marian Abboud is a physical and visual performance on 13 and 14 October at 7pm on the banks of the Parramatta weir. Participate in re-imagined clinical trials consisting of outdated unethical medical procedures, accompanied by jargon filled with never-ending numerical scales exploiting fallibility. All events at The Big Anxiety Festival Parramatta hub are free.